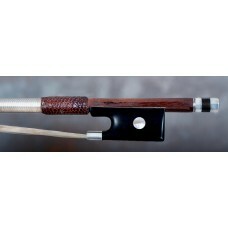 A beautiful French silver mounted violin bow by Victor Fétique, certified by J.F. Raffin in Paris. 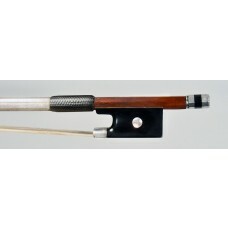 This is a very beautiful and great sounding violin bow in a good state of preservation. It was made in 1925.
strong with an excellent balance and handling. The button is in the original style but later period. 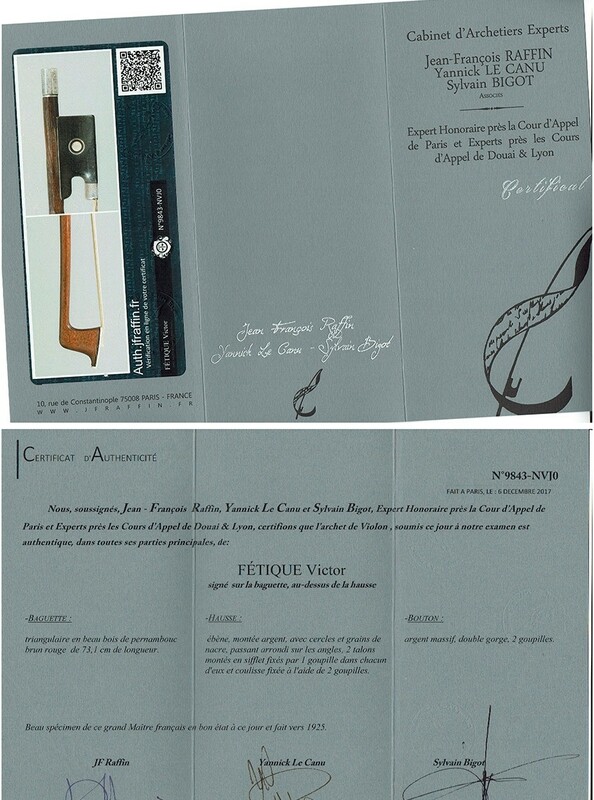 This Victor François Fétique violin bow is ready to play, with new winding and exclusive leather grip. 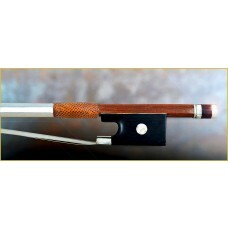 Yes, another great violinbow by VICTOR FÉTIQUE ! I like them a lot : they are strong but flexible, and they produce such a big tone ! 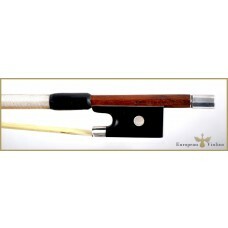 This Victor Fetique violin bow is a fine quality bow - pleasantly surprised !!! 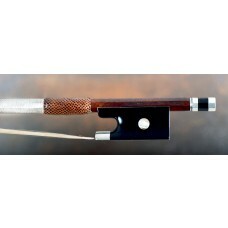 I had no experience at all with Victor Fétique violin bows, but this bow just plays and sound so great. 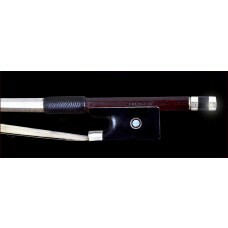 A highly recommended.violin bow !